On show at the Ceramics S A Regional Exhibition at Museum Africa, Johannesburg. 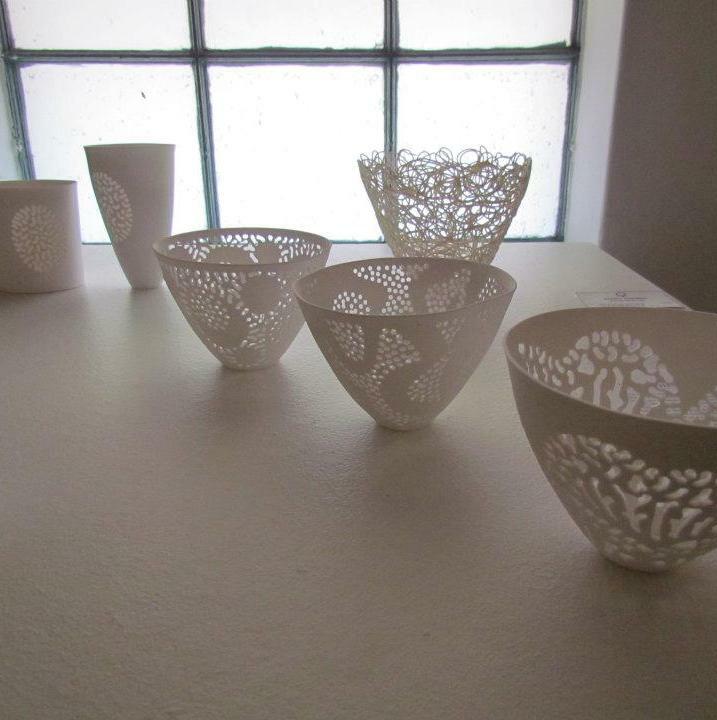 My work, pierced bone china, on show at this year's regional exhibition hosted by Ceramics Southern Africa at Museum Africa in Newtown, Johannesburg. The piece at the back of the group is by Sandy Godwin. 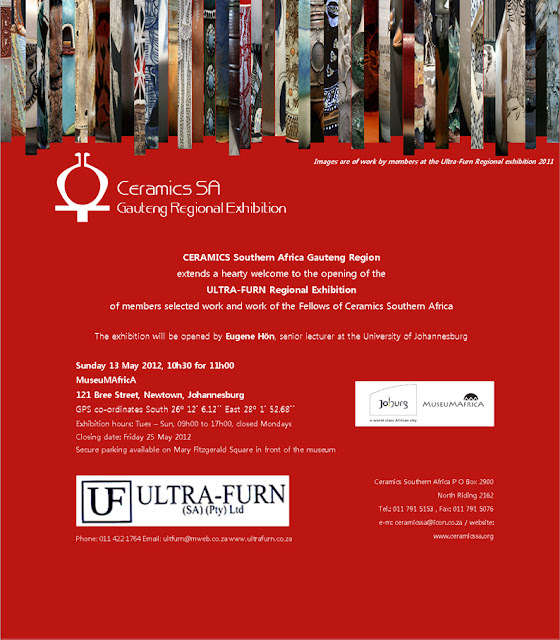 The exhibition runs until the 25th May. How do we find our voice? I believe it is when we are doing what we truly want to be doing that we discover our ‘voice’ through our work. But there are so many things that block us from doing this. Not trusting ourselves, and also a lack of clarity about what we are making. Worrying about what others think and not seeing things through. I am now in my third year of running ‘The Mentorship Programme’ and I can honestly say that I am astounded by watching the transformation that occurs in the participants and their work. The Mentorship programme is not a practical class, but rather an opportunity for discussion, assessment and feedback. By dealing with the blocks we have to experiencing our creativity through simple processes and also by regular critique and debate it is a continual and rewarding joy to observe the confidence and enthusiasm growing in the participants and seeing it reflected in their work. The next Mentorship Programme in Johannesburg starts this Friday, 18th May At 9:30 am and there are 2 places available. If you are interested in participating in either of these please let me know and I will send you a questionnaire and booking details and full dates for the programme by return. You will need to complete the questionnaire before commencing the programme.